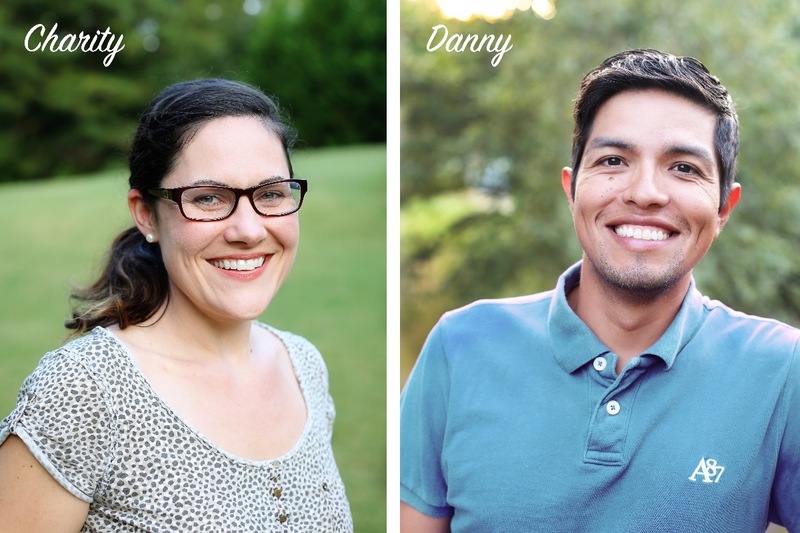 I am really happy to post a personal update today about our friends, the Pedraza’s. Many of you guys have been following long enough to know that a couple years ago, we tackled their kitchen, laundry room and dining room in an effort to get their home ready for a new little one! 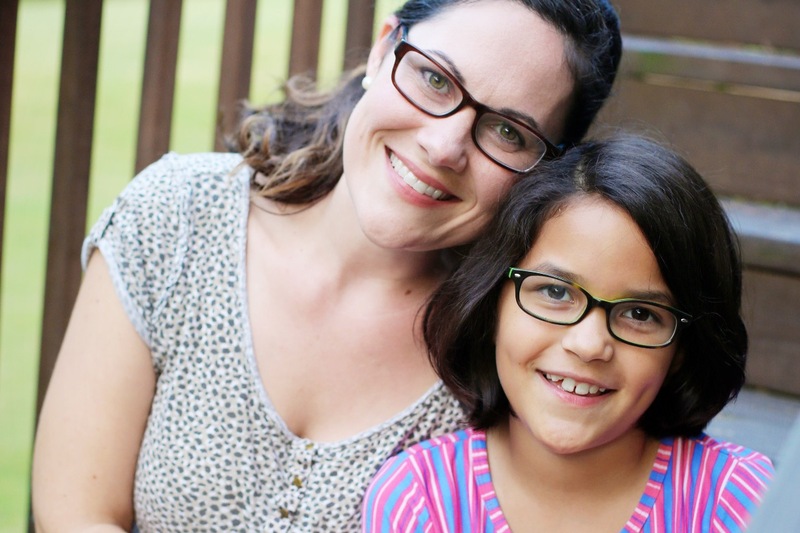 They were pursuing an adoption and we could not be more excited! We shared with you about their heart toward adding another to their family and the day has finally come where I can give you an update on that great adventure!!! They are in the home stretch…literally and figuratively. But first before I get into that – let me reintroduce them for those of you just joining. Danny & Charity Pedraza are the proud parents of two bundles of personality – Natalia and Nicky. They are active members of their church, Bible study leaders, homeschooling parents and volunteers in their community. Their kids love swimming, going to Build-A-Bear and collecting eggs from their backyard chickens. One of my favorite quotes from Nicky is “I wish I was born a fish so that I could swim ALL the time!” He really is such a little water-bug 🙂 Anyone who has met this sweet young family has felt their loving kindness….they are truly gentle friends and would give a stranger the shirt off their backs. My husband and I met the Pedrazas about five years ago and instantly we knew the warmth of their presence and felt their generous natures. They were always willing to help lessen the load of life for us. They would offer to sit at the kids end of the table to help cut food and swooped up crying babies when we were knee deep in a diaper change. They were not only kind but did it in a way that felt like they were welcoming us into their family. I know that Bower Power is a place of inspiration and education and entertainment – so you may be confused on why I am chose this time to share this special family. Well, the fact is…this family that has provided a way for me to give my readers all those things. Without them, we wouldn’t have the posts about how to tile around a window, how to make a countertop out of 2×4’s, or how to build a herringbone door. 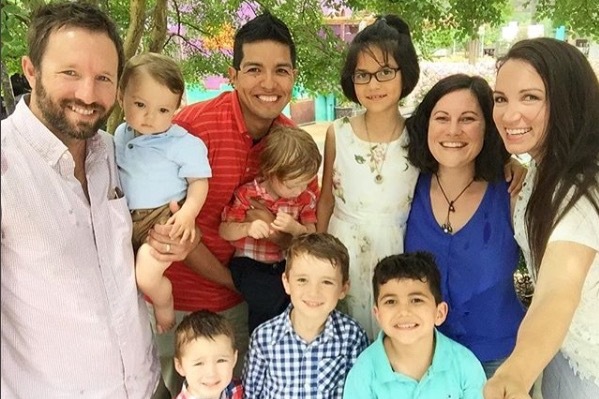 Years ago, the Pedraza’s felt the undeniable pull on their heart to add to their family through adoption. Adoption seemed like the natural extension of who they are as people….always opening their heart and home to those in need. Danny was born in Bolivia and has a unique viewpoint of seeing how truly rich we are in America and how we have so much to give. Both he and Charity are walking examples of generosity….both in things and in love. And when they talked about adoption, they said it felt like someone in their hearts was still not home yet. Knowing that the adoption process is expensive, they faithfully put the funding in the hands of the Lord. They knew that if they were meant to receive an amazing gift and honor of raising up another child, that the money would fall into place. Through budgeting, sacrifices, taking on more jobs and applying for grants, they were able to save enough to move forward. 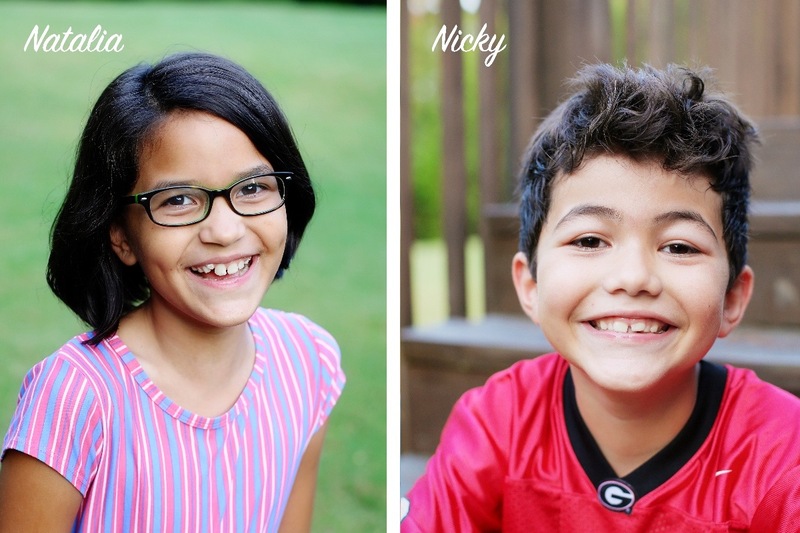 Their adoption process itself had so many obstacles…medical paperwork delays, job and schooling changes, and even watching their first agency dissolve and all their progress lost. During those months of frustration, it was so easy to see those speedbumps as defeat….but they patiently waited, continued to pray and always said that they felt like the Lord was using every day to prepare them for this next adventure. They often said that they were clinging to the word “abide” – which in the Bible means to continue on even in the face of defeat and despite lack of progress….in today’s words….to keep on keeping on. In their paperwork, they had said that they were open to sibling groups, any gender, and even children that were in need of medical support…not knowing what to expect meant that they were preparing their hearts for ANY possibility! In their prayers, they prayed for their son or daughter and the birth mother and even the foster parents. They prayed for the doctors and for the judges and even just prayed for a blanket of hope and peace over everyone involved. Last week they were matched with a sweet little boy named Zane and everything fell into place. You can imagine that we all celebrated, cried and felt overjoyed at the idea that this baby would be part of all of our lives. 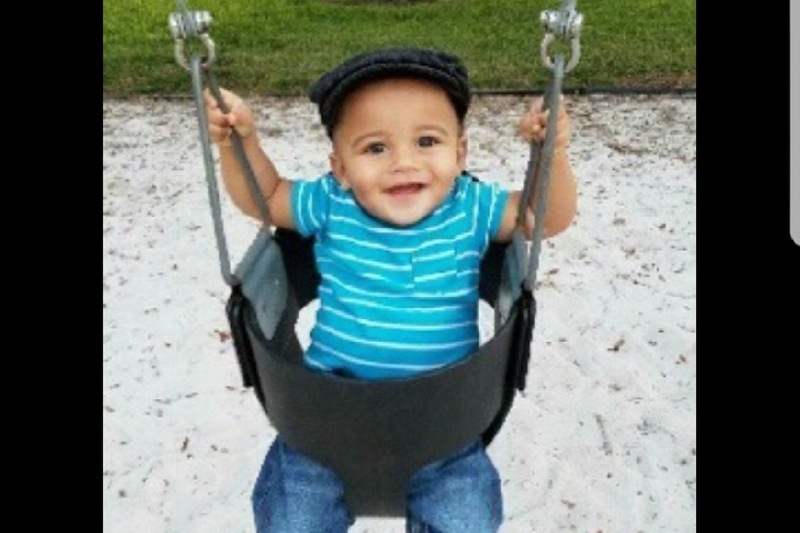 On Friday they were told that this 11 month old handsome boy was chosen to be their son by the birth mother and that on Monday morning, they would need to be in Florida to meet him. The entire Pedraza family was ECSTATIC! They would finally be meeting the one they had waited for! They would finally be able to meet the one that was in their hearts for so long. On the way to Florida, their van’s transmission broke down. Danny and Charity were able to travel the rest of the way with a rental and got to the appointment on time to swoop up their little guy! Guys – he is a CUDDLER! And he has started walking while Charity was watching him and his name even means GIFT FROM GOD! I mean!!! Isn’t he just the cutest thing!?! So all that to say…thank you all – the ones who have been SO supportive of the Pedraza family. I know that so many of you have prayed for them and wrote some of the most encouraging notes. And I wanted to say personally – you are my community and I am so darn proud of you! And to my friends – the Pedraza’s – I am so very happy for you and Zane. I know this week was so bittersweet for you all and I know that God has an amazing plan for each of you. I am excited to get to watch you all grow as a family and I will be praying for you all. Now if you are one of the people who wanted to donate to their adoption fund – this section is for you. On the way to Florida to meet Zane, Danny and Charity had some big time car trouble….their transmission blew 🙁 This expense felt like the last big hurdle in the adoption process and was completely unexpected. I set up a GoFundMe campaign for them and all donations will go toward their car expense and any excess (you know…if we go above and beyond that goal!) will go to the adoption fund. Right now Charity and Zane are in Florida waiting for the repairs to be made to the car so that they can return home and their family FINALLY can come together! (selfishly….I also want them home so I can snuggle the new little guy!!!) The total expense of the car transmission is $3,700 and the additional living expenses while in Florida are $300 (food, diapers, etc.). I know that this is a very manageable goal especially for the Bower Power community. Now first and foremost I want to say – we didn’t create this campaign to pressure anyone to donate. The Pedraza’s even said that they didn’t do it themselves because they have seen so many other worthy causes that they didn’t feel like they ‘needed it as badly’. I know that everyone has a budget for donating and I don’t want you to feel bad if you can’t. I would LOVE it if you would share the campaign on your social media pages. I know that I already get so much from you that it feels weird asking – but if you have ever felt empowered by this site, felt you learned something or just got to laugh at my crazy antics….it would mean a lot if you shared the GoFundme thing on your facebook page! And if you can donate, I know that we could handle that goal. If half my readers could spare enough to buy a cup of coffee, we could fix their transmission 300 times! We could not only fix their car, get them home but also put some toward the adoption fees and allow this family to worry about the adjustment for Zane instead of the next payments. Also….and I want to say this because I think it’s so important….I am hoping that any donation isn’t only about the car being fixed. I am hoping that by giving even a single dollar, that you feel invested in this little boy’s journey….this family’s journey. That you will be willing to pray for them. That you will know that you played a part in their love story….however small it is. Because that is truly what we are doing in this life….playing small roles to make miracles happen. To be part of someone else’s happily ever after is a profound and beautiful gift. And I know the power of the smallest gestures….as I personally have felt that overwhelming love when someone I don’t even know gives me heartfelt gifts. It’s the best feeling in the world. Thank you so much for any support you can give. Most of all – thank you for praying for this sweet family and their new son. It means the world to them and to us. Our plan is to print out the messages from any donation through the GoFundMe campaign to put in an adoption book for Zane to read one day – we would love for you to make sure your name is there and where you live as well as any message you would like to put in for him to read as he gets older. If you share this on your facebook page, please let me know in the comments. Thank you so much over and over and again and again. This is me sending out virtual hugs and kisses! TO SHARE the GoFundMe Campaign, click on this link and then click the SHARE button on the top right hand side of the page. Having just replaced the transmission in my van I can completely relate ($$$). Love this update and so happy to see them with their little one! I shared and donated. Thank you for the opportunity. To Zane, welcome to your new family! May God’s blessings be upon you all. my heart breaks for the parent(s) who raised this little boy for 11 months and have given him up. with all due respect, I’d rather fund a charity that works on keeping families together. Saying many prayers for them! I can’t afford to donate but am holding them up in prayer! Thank you so much! I know that prayer is just as important as any dollar amount! My heart did as well…as did Charity’s. In Florida, the foster parents don’t get to choose…the birth mother does. She chose The Pedraza’s as her son’s family and we are grateful but it is very bittersweet. The only solace is that they did get to meet the foster family and the birth mother and will be able to be forever connected to them. Thank you Terri. That means so much to all of us. Yes – car trouble is so stressful! I am so sorry you went through that! What? We don’t know the ins and outs of Zane’s care the last 11 months! Yes, the gift of adoption is made possible by the heartbreak of dissolving families, but how can we snark on a situation that we know virtually nothing about? So how does the go fund me work? Is there an end date? And are you going to do another post on how it all turned out? Oh I am sorry – I should have updated this post! I did updates on the actual GoFundMe and on social media – but not here. Sorry about that. It ended up being awesome and it’s fully funded! They were very very thankful for all the donations and blown away by the generosity of so many folks!